Purple-bloom Russula (Russula mariae) is a medium-sized gill mushroom. It is common and widespread in deciduous and mixed woodlands and forests of North America east of the Rocky Mountains. It is found from June through October, singly or in groups, on the ground near hardwoods. It obtains its nutrients from the rootlets of oak and other hardwood trees. Purple-bloom Russula is easily recognized by the flat, dry, velvety or powdery, purple cap. 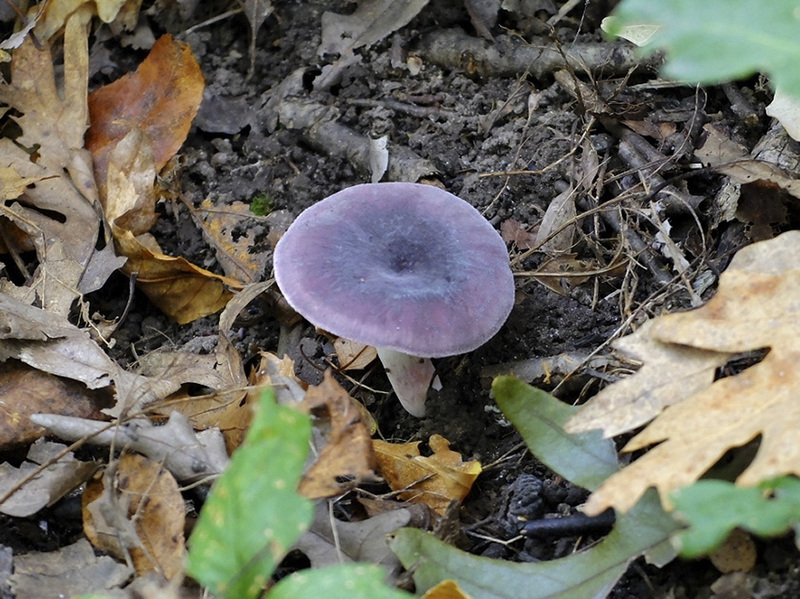 This entry was posted in Fungi and tagged Purple-bloom Russula, Russula mariae on July 21, 2018 by John Valo.